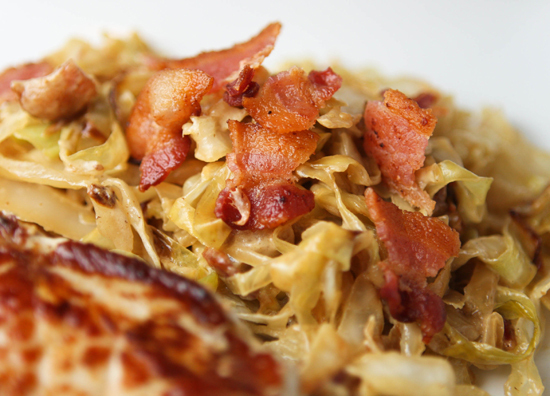 You will want plentiful amounts of this delicious recipe! I'm going to refer to the month of March as Pork Month from now on. I didn't plan it this way, but my husband and I have prepared much more pork than usual in the past few weeks. And every tender, juicy bite has been totally scrumptious! I have another pork recipe on my list that I plan to make soon. Mom's Pork Chops! My mother makes the best pork chops under the sun, and I cannot wait to share that splendor with you all. I mustn't get ahead of myself, though. Back to the delicious recipe at hand! This is how my husband has been preparing pork for the past year or so. I swoon over this recipe. And I swoon over the fact that I have a husband who makes me delicious pork and mouth-watering mai tais. Salt and pepper both sides of 3 pork chops. If you plan to make more than 3, double the sauce. 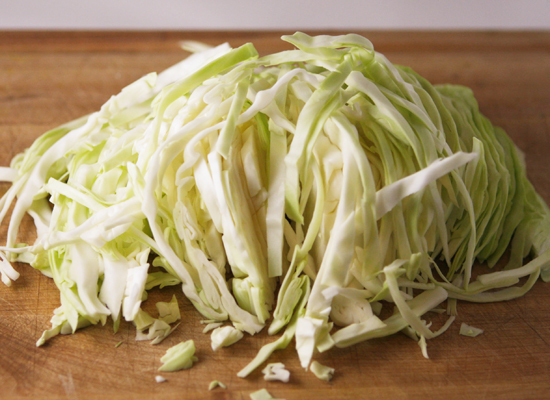 You will want plentiful amounts of its deliciousness. Coat a large skillet with cooking spray. Cook the pork chops for 3 minutes on each side over medium heat. Pour the beer mixture over the pork chops and bring to a boil. 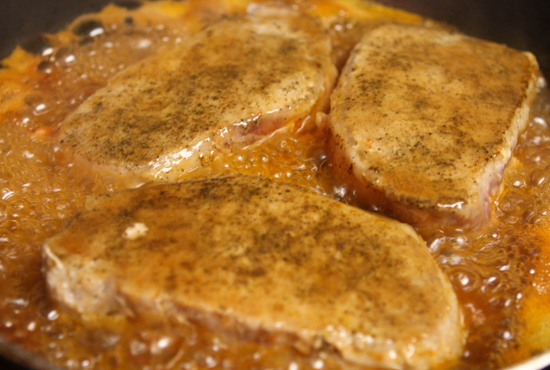 Reduce the heat to medium-low heat and simmer, uncovered, for 10-15 minutes, or until a meat thermometer inserted into the center reads 160 degrees F.
Remove the pork chops from the skillet and cover them to keep warm. 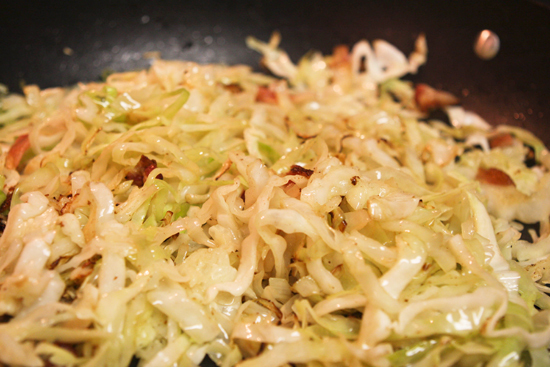 Continue to let the sauce simmer until it has reduced to 3/4 cup, about 5 minutes. 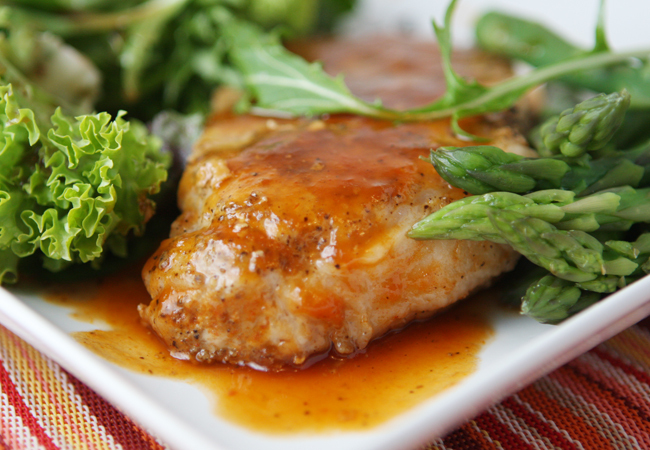 Pour the sauce over the pork chops and serve immediately! I love Pork Month! Add Crockpot Pork Loin to your must try pork recipes, you won't be disappointed! 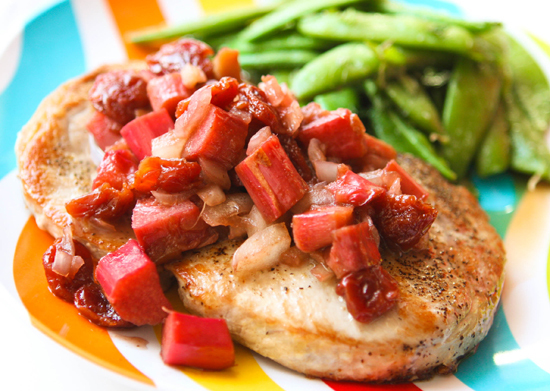 This is such a simple way to prepare pork chops, but one of my favorites. The sauce is DELICIOUS! Combine the beer, brown sugar and ketchup in a medium bowl. Set aside. 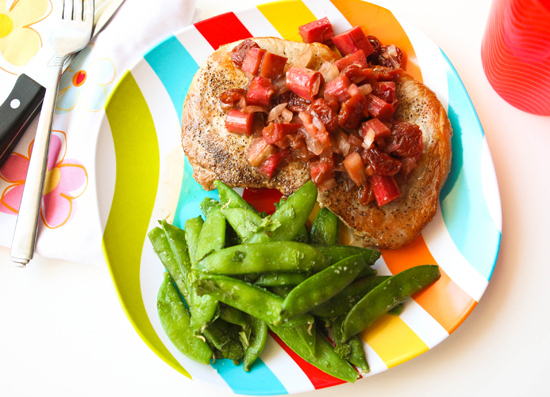 Coat pork chops with salt and pepper. Coat a large skillet with cooking spray. Cook the pork chops for 3 minutes on each side over medium heat. Pour the beer mixture over the pork chops and bring to a boil. 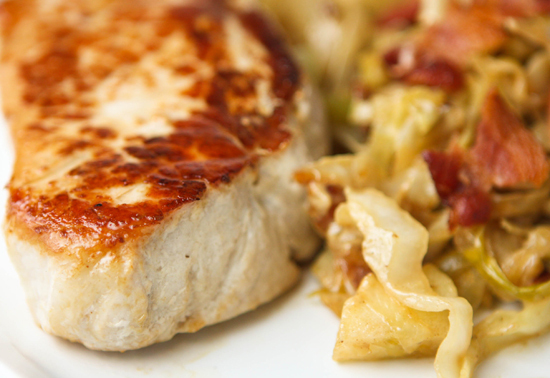 Reduce heat to medium-low and simmer, uncovered, for 10-15 minutes, or until a meat thermometer inserted into the center reads 160 degress F.
Remove pork chops from skillet and cover to keep warm. Let the sauce simmer until it has reduced to 3/4 cup, about 5 minutes. Pour sauce over the pork and serve immediately. My crockpot is one of my very best friends. Most days I have way too much to accomplish and I don't have time to be slaving away in the kitchen. I am all about convenience and making meals with minimal effort. This recipe requires mere minutes of preparation on my end. The crockpot (or slow cooker, or whatever you wish to call it) does the rest!